Jim's Blog: who is reading this any way? 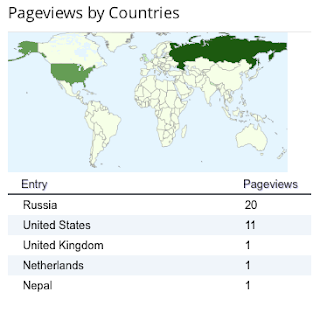 so i looked at the stats today - who is reading / looking at my much ado about nothing blog. russia is leading the way with the US and then UK/Netherlands and Nepal? it must be good reading in the cold depths of Siberia!